We offer cost effective and full service whole genome/ whole exome sequencing at our next generation sequencing laboratory. *1 Each deliverable composition is stored in HDD data which requires an additional fee. *2 Another additional fee is required for mutation annotation. 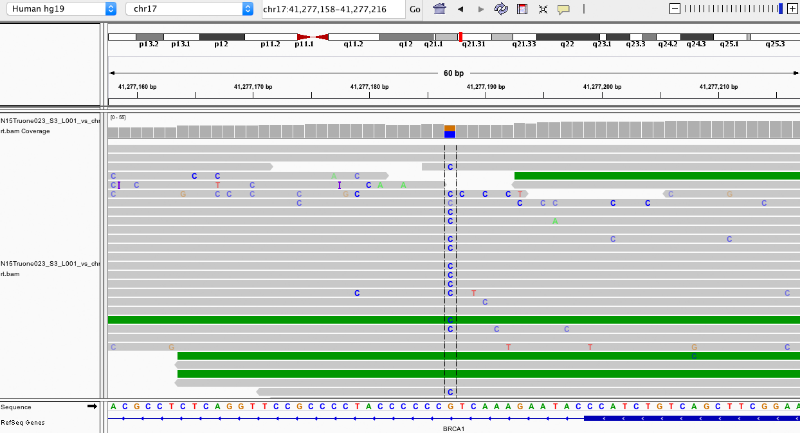 Detect SNV (Single Nucleotide Variant) by mapping reads to reference genome. We will perform a quality check with either Agilent2100 Bioanalyzer, Qubit®Fluorometer, Q-5000 nor agarose gel. We will report the quality check result within 2 weeks after we have received the samples. You will be notified if the sample does not meet the quality standards. We perform library preparation and process your sample through next generation sequencing. You will receive the report via e-mail, in addition to that data will be delivered stored on HDD.